Making spacers for a plow frame, Bigdog 7x14 hobby lathe MINDLESS BORING: lathe turning Some steel spacers to go on the pivot arms of my plow with a 7x14 mini lathe from Bigdog metalworks will keep my old equipment up to snuff with new parts. Having the ability to turn metal parts that are no longer available is a great asset around the home machine shop or garage. 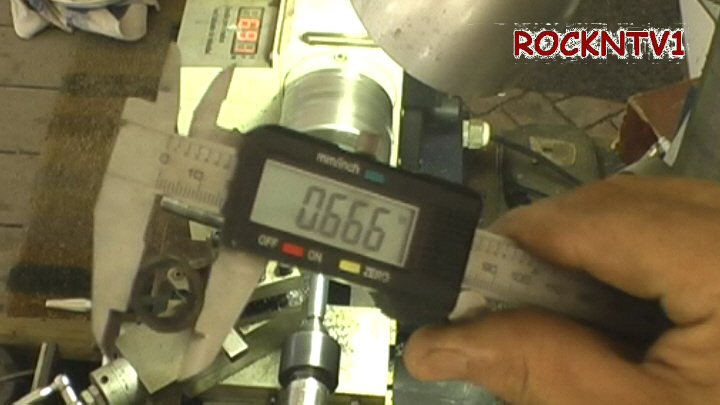 This hobby lathe can and does make real parts. Here I will use a piece of all thread bar as a lathe mandrel to hold the work piece four at a time, which are hardware store nuts of a size that can be turned round on the lathe, leaving enough OD to fit the bore in the pivots. We will then drill out the threads to fit new attaching bolts.